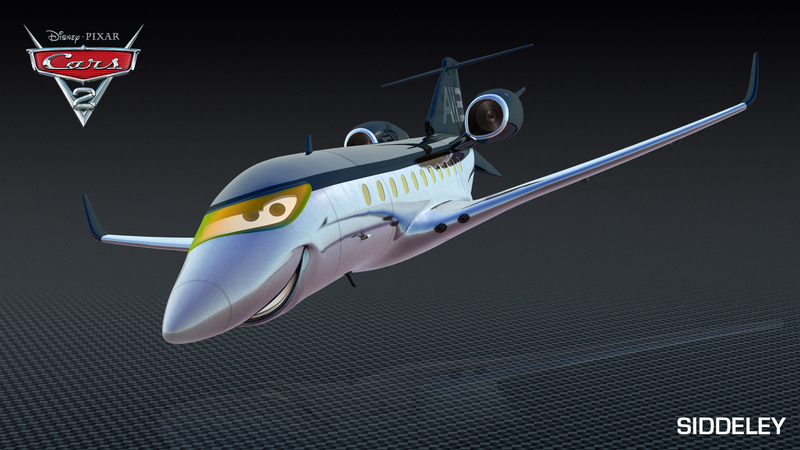 Disney unveiled two more new Cars 2 characters today, releasing hi-res images and descriptions. 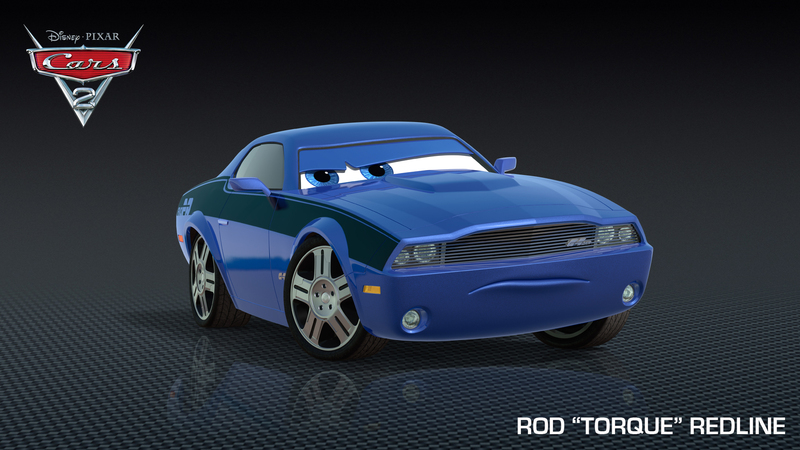 Before today, we did not know that much about these two but Rod ‘Torque’ Redline and Siddeley but considering one of them is voiced by Bruce Campbell and the other is the biggest Cars 2 character we have seen to date and has the ability to fly, they are likely to be memorable characters. Did we mention they are both spies? Read on for images and descriptions! Rod “Torque” Redline is considered by many as the greatest American spy in the world. Recruited after the Cold War for both his brains and brawn, Torque is a tough-as-nails Detroit muscle car with a mastery of disguises. In his latest deep-cover operation, he obtained vital information about the plot to sabotage the World Grand Prix. So Rod plans a rendezvous with his British counterparts to share his discoveries at the World Grand Prix welcome reception in Tokyo, Japan. But with the bad guys hot on his tailpipe, Rod is forced to ditch the intel early and with the first party guest he sees – a rusty American tow truck named Mater. Siddeley is a state-of-the-art British twin-engine spy jet. At 176 feet from nose to tail and an impressive 157-foot wingspan, the super sleek silver-bodied Siddeley streaks through international skies at record-breaking mach 1 speeds. Outfitted with all the latest in high-tech spy equipment, including cloaking technology, defensive weaponry and afterburners, Siddeley is Finn’s steadfast partner-in-fighting-crime around the globe. The international aspect of the film means the characters will be doing far more flying than the first film. In a previous image we saw Mater, Finn McMissile, and Holley Shiftwell riding in one of the flying characters. As Siddeley’s description above revealed that he is Finn’s partner, the image is likely located inside of him. Check out his interior here. Additionally, the inclusion of Bruce Campbell and Jason Isaacs adds to the already well-accomplished cast that we will see in the film. Cars 2 is now almost exactly 4 months away – expect it to hit theaters on June 24th!